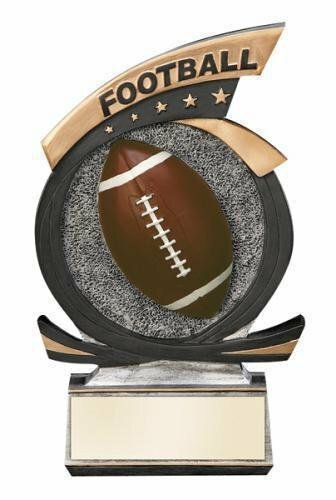 What a great way to recognize someone with this single column football trophy with trim. 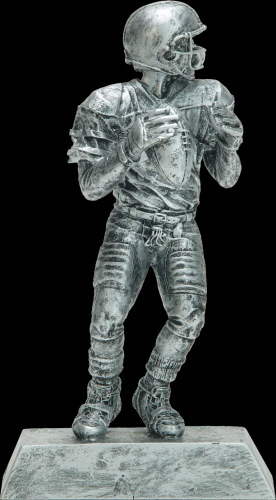 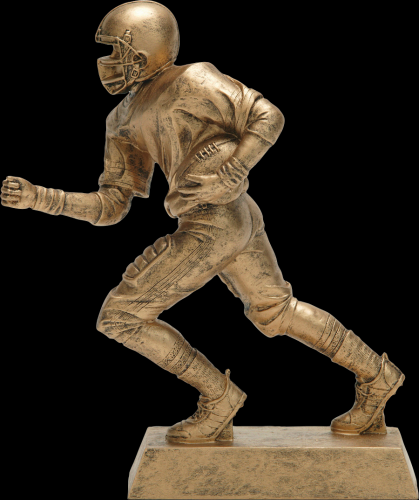 The football player that tops off the award is shown with the ball tucked tight under his arm running to score the winning touchdown. 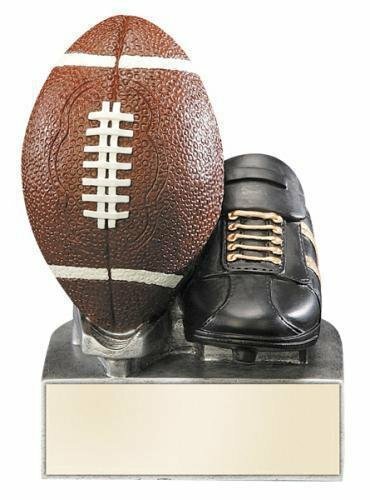 Other highlights of this award trophy is the unique full color footballs on the column and the shooting star trim at the bottom to complete the look. 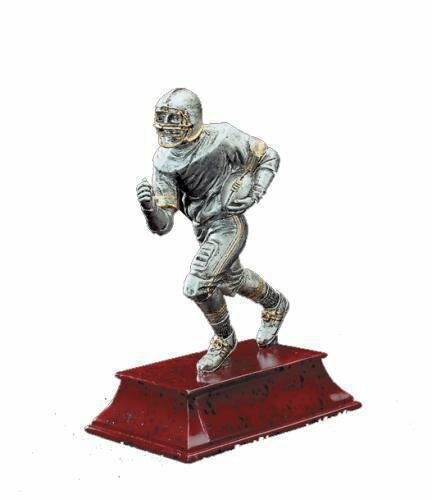 this award trophy measures 16 1/2" tall and has plenty of room for whatever your personalization needs might be. 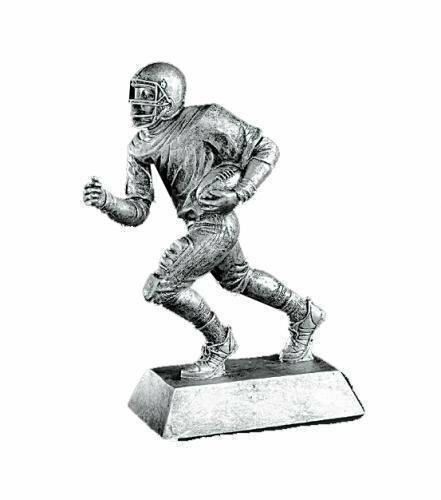 After you have added this item to your cart, you can modify any of the parts for any sporting or academic activity. 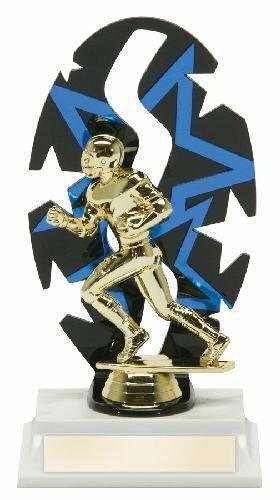 Your recipient wont believe their eyes when they see this award trophy!